With the Lines Brothers Canadian company now firmly established in their new premises at 95 Brown’s Line, Toronto 14, Ontario, Tri-ang Railways continued to be distributed by the Hobby Division of Meccano-Tri-ang Ltd.
More new models were introduced which were specific to the Canadian market and with them a complete new range of Train Sets and Presentation Sets. The Canadian company continued to assemble its own range of sets from unboxed models sent out to them from Margate. ​(see the notes in 1967-68 Presentation/Railway Gift Sets). 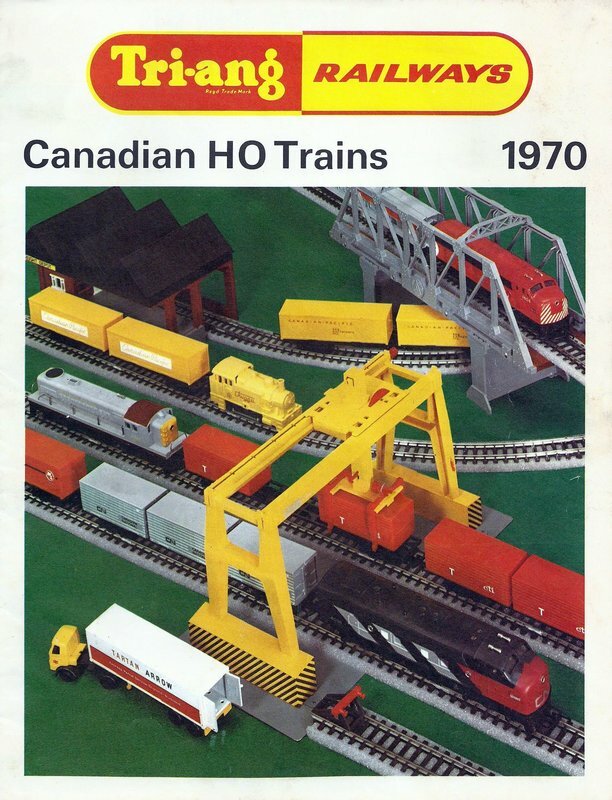 Train set production in Canada, in terms of both volume and diversity, reached its zenith in 1969. The 'TS.' (Train Set) prefixes continued from 1967/1968 and featured in both catalogue and price lists. The sets continued to be numbered with a three-digit number; but with the first digit ’9’ indicating the year of manufacture. ​It is worth noting that the actual set boxes only ever displayed the three-digit set number; the 'TS.' prefix never featured. The Presentation Sets had the 'PS.' prefixes dropped and they were now numbered in the standard ‘R.’ numbering system used for virtually for all models. Unlike the previous four years, where there had been a veritable confusion of names attributed to sets, Tri-ang finally got its act together and there was consistency between the catalogue and price lists. For the first time, the catalogue shows the image of a set box. However, this was incorrect being of the 1968 set box which was now replaced with a similar but modified design. The outer box, as before, was 22 x 15 x 1.5 inches. The base was made of corrugated cardboard and the box lid was of a thinner, white surfaced cardboard which, in hindsight, has proven to be quite flimsy and subject to being easily damaged. 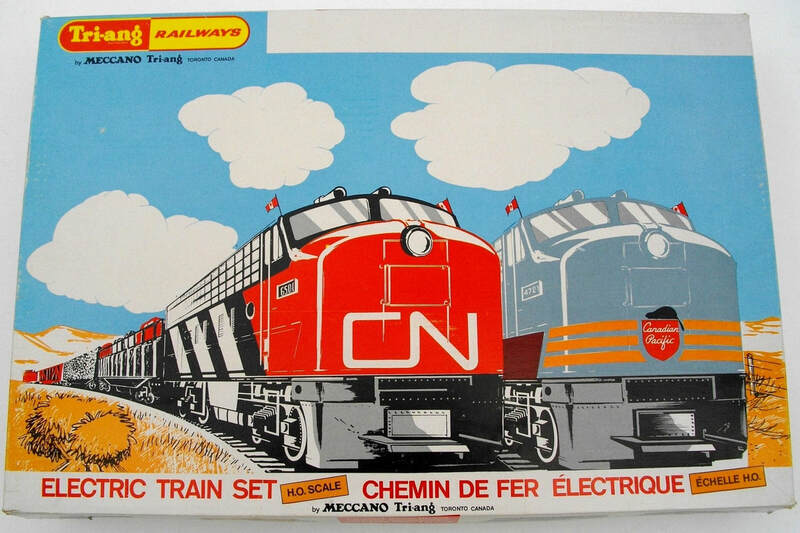 The box lid illustration continued to feature the front view of a CN Diesel and four freight cars alongside a Canadian Pacific Diesel, as illustrated on the earlier box lid. However, the attractive background drawing was much simplified and, together with some extremely badly drawn cloud detail and a revised colour scheme, the illustration now looked truly awful ! Some variation in the box lid colours, particularly the sky, have been found. 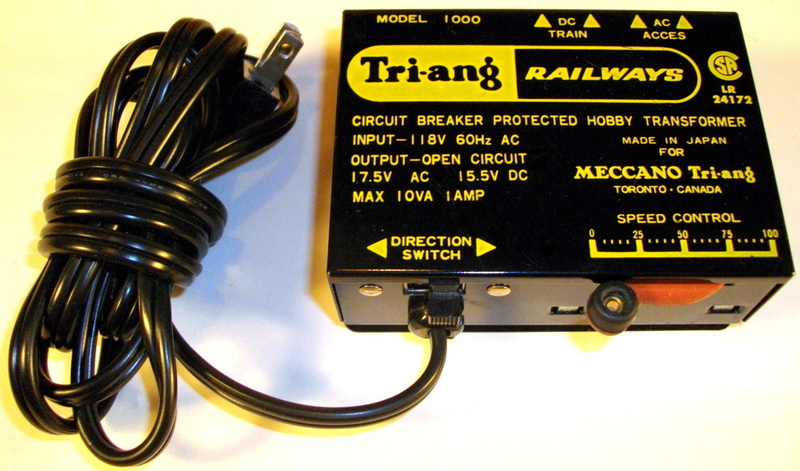 At the top left, a new style ‘Tri-ang RAILWAYS’ logo, similar to the Tri-ang Hornby logo, is featured with ‘by MECCANO Tri-ang TORONTO CANADA’ printed beneath. ‘ELECTRIC TRAIN SET H.O. SCALE CHEMIN DE FER ÉLECTRIQUE ÉCHELLE H.O.’ and beneath that ‘by MECCANO Tri-ang, TORONTO, CANADA’. The four sides of the box lid were decorated with a total of fourteen illustrations from the 1969 catalogue. As with the 1968 produced sets, each set had its own individual vacuum-formed yellow styrene tray to hold the locomotive and rolling stock. The set numbers were now impressed into the moulding at the bottom right- hand corner for easier identification by the packing staff when assembling the various sets. 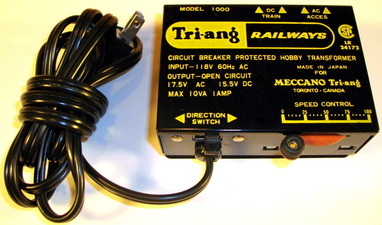 The Model 2200 Transformer, with its white card packing piece, and the R.167, or R.167A, Track Pack were then placed side by side in the remaining box space. On final packaging, the base tray and contents were shrink-wrapped for safety, with the box lid being left removable, so that the contents could be easily viewed or displayed in retail outlets. The Sets and Presentation Sets were un-priced in the February 24, Retail Price List and, at that time, clearly unavailable. Set TS.901 Cross Canada Diesel Freight was not available whilst the remainder of the sets, TS.902 through to TS.906 have list prices quoted and were now available to be ordered. 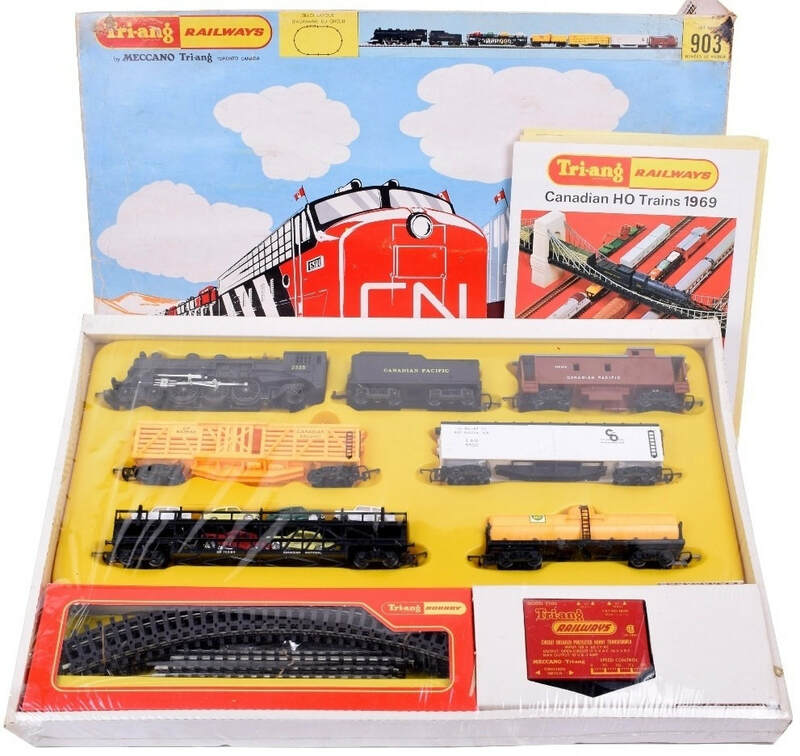 ​Looking carefully at the production and shipping dates for the new models included in some of the sets, it has become apparent that it would have been impossible to have made these sets available until at least May of 1969. This was slightly earlier than was traditional; when sets tended to be assembled in June for release in August in preparation for the Christmas market. Set availability would have continued well into 1970 before being withdrawn in favour of the newly announced 1970 Sets. 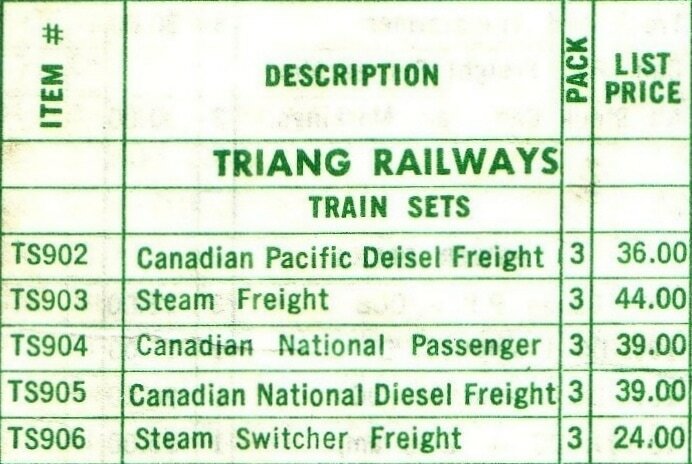 The Tri-ang Railways 1970 Canadian Catalogue was released in February together with the Suggested Retail Price List Effective February 22, 1970. 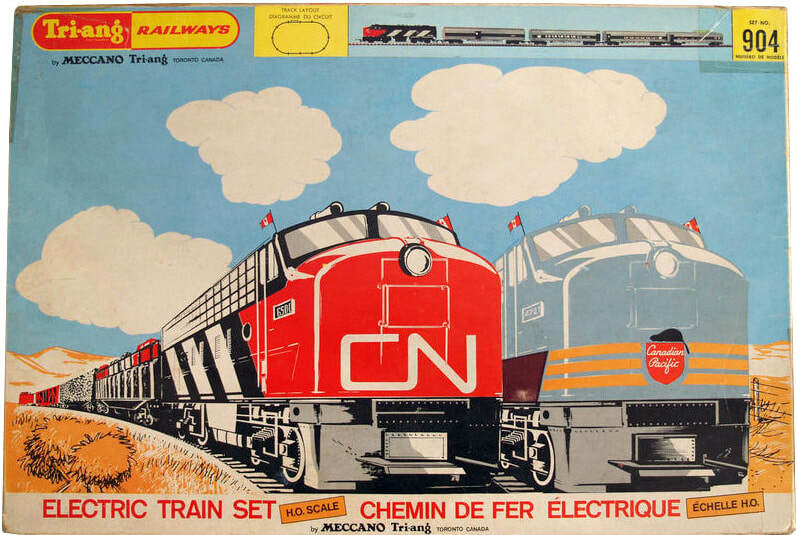 More new livery models were introduced into the range which were specific to the Canadian market; particularly of note were the new CP Rail diesel locomotive and passenger and freight cars. 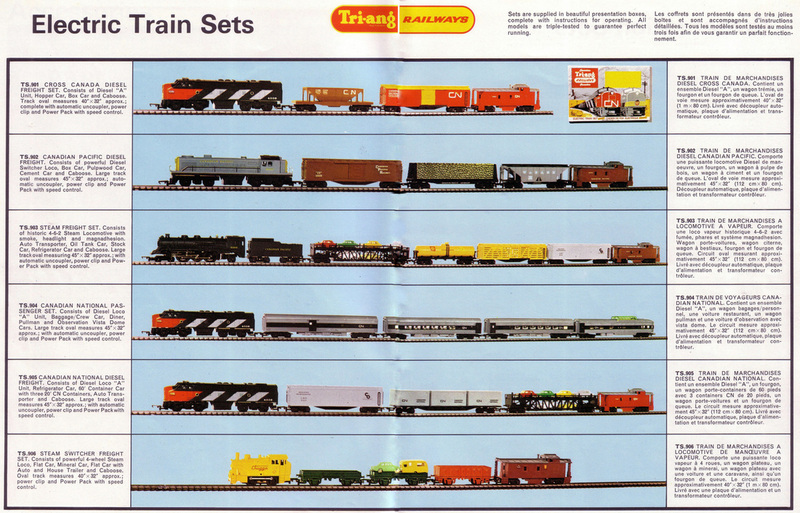 Seven new train sets were featured in the catalogue; which were mainly re-workings of earlier sets. In fact, only two of the sets actually required a new pre-formed inner tray to be manufactured. In addition, two Presentation Sets, R.467 and R.469, continued into the catalogue from the 1969 range but no new presentation sets were introduced and these were discontinued as stocks dwindled. The TS (Train Set) prefixes which had been used from 1967 to 1969 were now dropped. The sets continued to be numbered with a three-digit number in the 900 series. The Presentation Sets had the PS prefixes dropped and they were now numbered in the standard ‘R’ numbering system used for virtually for all models. Curiously, sets carrying 4-digit number references began to appear in late-1970. un-catalogued and appear to have been Special Train Sets made for some of the Mail Order / Home Shopping companies. For the only time, the catalogue shows the correct image of a set box; albeit, that of Set 901 from the previous year. The 1970 outer box was identical to that of the previous year and continued for the 1971, and later, issued sets. The only difference to the box base was the addition of a printed thick red band around the top rim, inside and out. As with previous sets, each set had its own individual vacuum-formed styrene tray, now a pale greenish-blue colour (although the consistency of the colour does vary), to hold the locomotive and rolling stock. The transformer with its new-style red card packing piece and the Super 4 Track Pack (later, in 1971, it would be System 6 Track) were then placed side by side in the remaining box space. Around September 1970 the black Model 1000 Transformer became available and gradually replaced the older red Model 2200 Transformer in the sets. 1970 Sets can be found with either the Model 2200 or the Model 1000 Transformer. 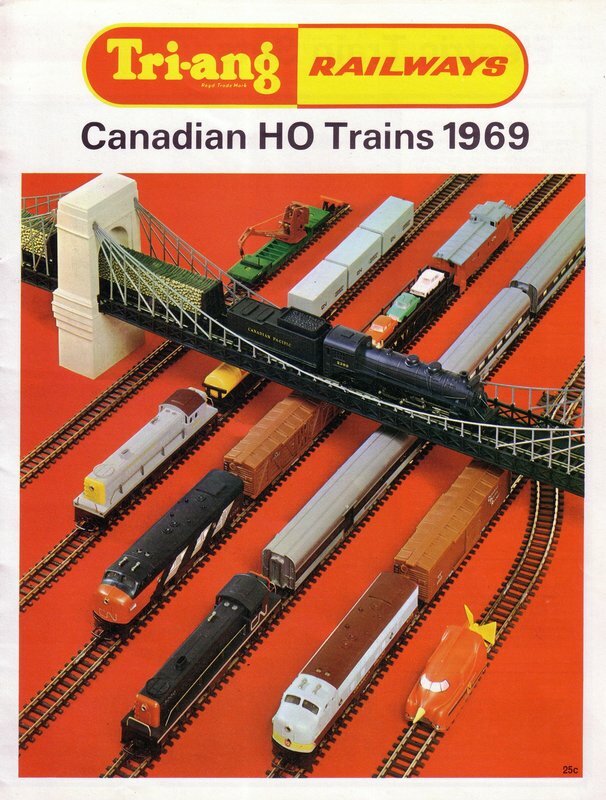 As with the situation concerning the availability of the 1969 Sets, which would have been available from about August/September 1969 and continued to be available into 1970, a similar situation occurred for the sets announced in the 1970 Canadian Catalogue. 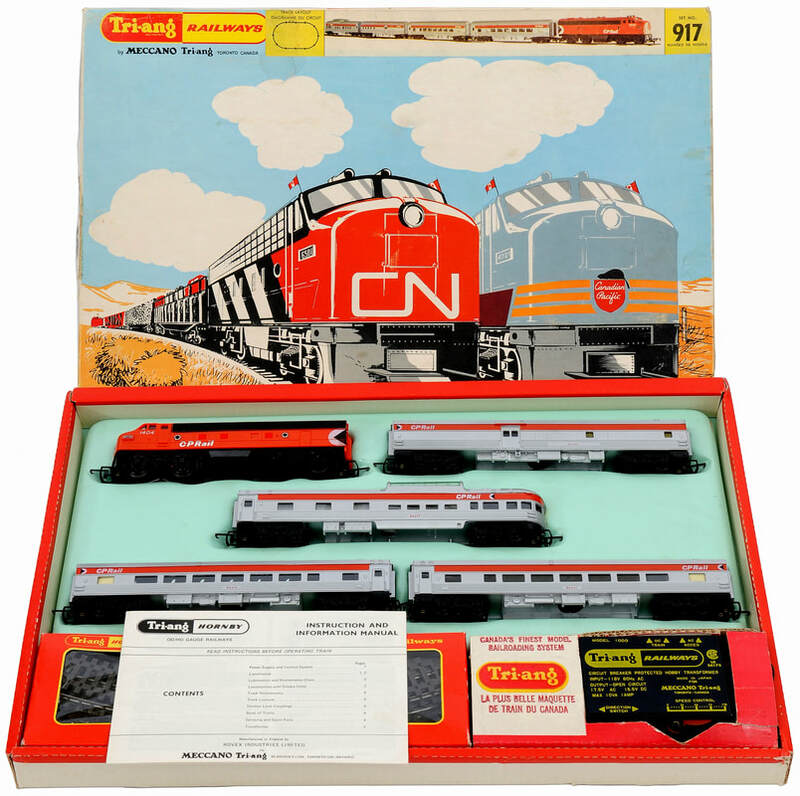 The 1970 Sets were un-priced in the February 22, Retail Price List. Again, looking carefully at the production and shipping dates for the new models included in some of the sets, it is apparent that it would have not been possible to have made these sets available until at least the second-half of 1970; this was traditionally August/September, for the Christmas market, as was the practice in previous years. For example, to quote Pat Hammond in his ‘Story of Rovex Volume 2’, the CP Rail coaches ‘arrived in May 1970’. The CP Rail Car Transporter also ‘dated from May 1970’ as did the red CP Rail Box Car, and there were more examples. Therefore, set availability would, probably, have been from August/September 1970, continuing into 1971 before some sets were withdrawn in favour of the newly announced 1971 Sets, when they eventually became available.